PureWebMedia.biz is a web design & web development company located in the city of Victoria on beautiful Vancouver Island, B.C. We specialize in building customized, creative and professional websites based on a content management system (CMS) framework. Our goals are to produce intuitive, elegant website designs which are uncluttered, solid and practical. Having been in the industry since 2000, we bring an vast array of expertise to your business with beautiful web designs, responsive web development, stunning graphic design, innovative cms programming, and effective SEO. Working vis-à-vis with our clients, we carefully guide and craft projects from initial concepts through the design, development, and finally the promotion of the website. Coupled with effective multimedia training packages, our clients walk away with the tools for referencing and training staff quickly and efficiently. We often also partner with local designers and programmers within Victoria, allowing us to deliver websites at a substantially competitive rate which larger firms simply cannot match. 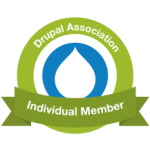 Our services are based around the excellent Drupal content management system or 'CMS' as it's known (for more info on Drupal itself, see the articles 'What is Drupal?' and 'Drupal compared to WordPress and Joomla'). User experience (UX) is at the heart of our design, not only for the website viewers but for the content manager. Clients are amazed at how simple the interfaces are. As illustrated in our portfolio, we strive for clean designs coupled with modern, standards-compliant coding. Even local design firms subcontract our services to build websites for their own clientele because we take things a step further, providing easy interfaces, search engine optimization and beautiful designs. Read what our customers have to say and let us help your business grow with an affordable, professional website. We look forward to helping your business succeed online. Please contact us for more information. Raj is personable, reliable and takes the time needed to hear what you want, then translate it into a website that works best for your needs and growth of your business.